Do You Have a Anniversary Checkup? EACH CLIENT ON THE ANNIVERSARY OF THEIR CLOSING? Every professional has a yearly checkup. Your doctor, dentist, financial advisor and even your mechanic recommend a yearly checkup. Things change, situations change and often, plans and goals change too. 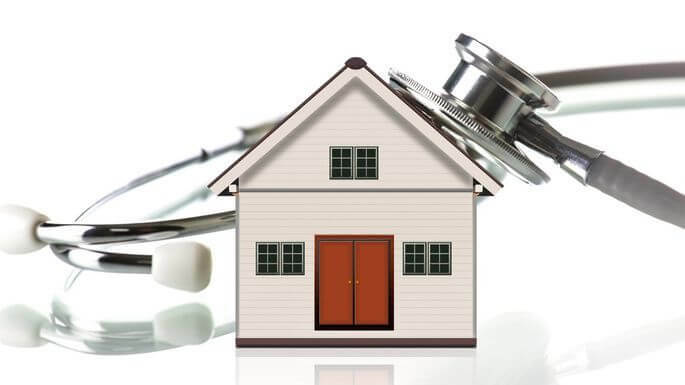 As a real estate professional, you will want to offer an annual checkup. If you are currently creating a Market Analysis on a consistent basis we think that is awesome and we have additional questions and strategies that can help you along in the process. 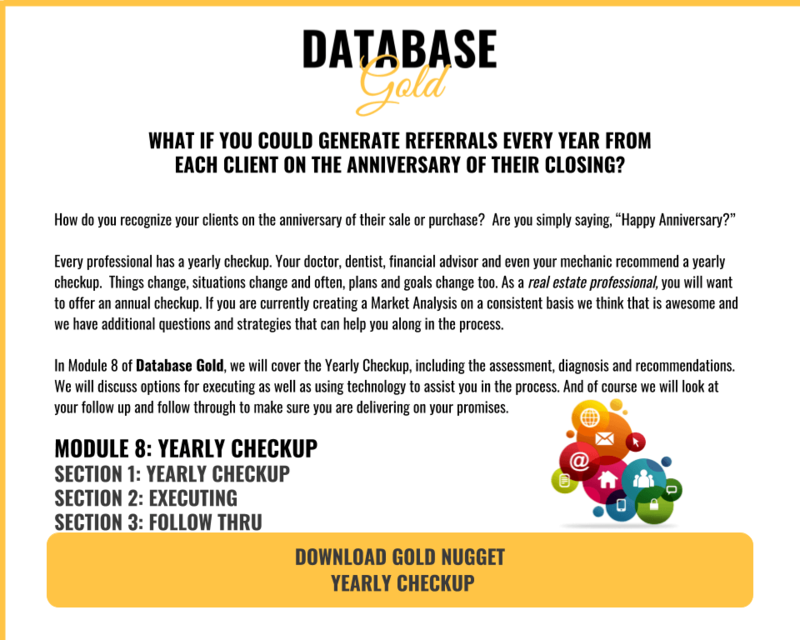 In Module 8 of Database Gold, we will cover the Yearly Checkup, including the assessment, diagnosis and recommendations. We will discuss options for executing as well as using technology to assist you in the process. And of course we will look at your follow up and follow through to make sure you are delivering on your promises.